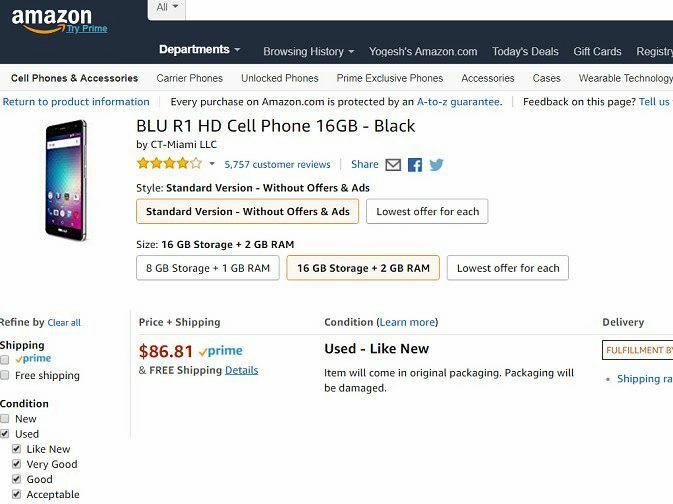 Hello, I am looking to buy a smartphone and on eBay I found a listing for the sale of BLU R1 HD phone. Can I buy the used BLU R1 HD phone? What's the original price right now? You buy these ones because they are fulfilled by Amazon. These phones are almost like the new one.